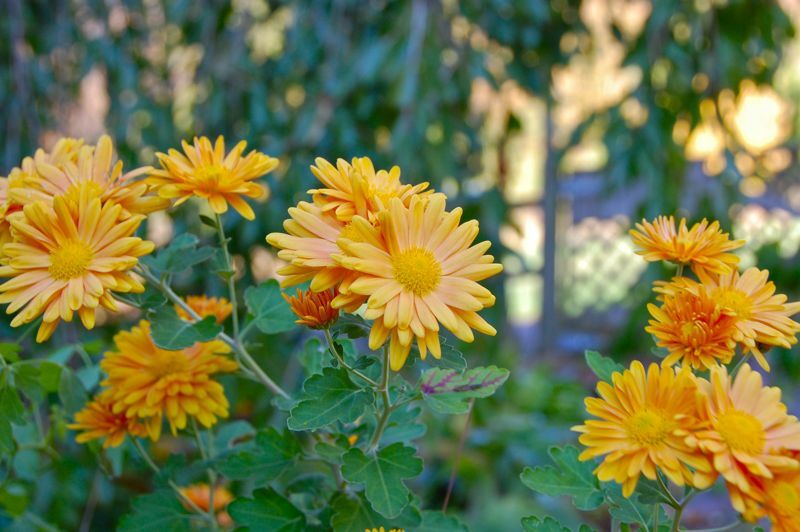 Every year I get a few chrysanthemums. Sometimes I get a chance to plant them in the garden in the hope that they will come up again the following year. Sometimes they do. I confess that I sing a few lines from an old Mr. Rogers song, "Chrysanthemum, Chrysanthemum now don't be glum and blue . . .". This plant has been favoring me with its pretty blooms for a few years now. I always look forward to seeing the final few flowers that will blossom for the year before winter sets in.